In 2014, Caterpillar Propulsion introduced CAESES® for the design of propeller blades. 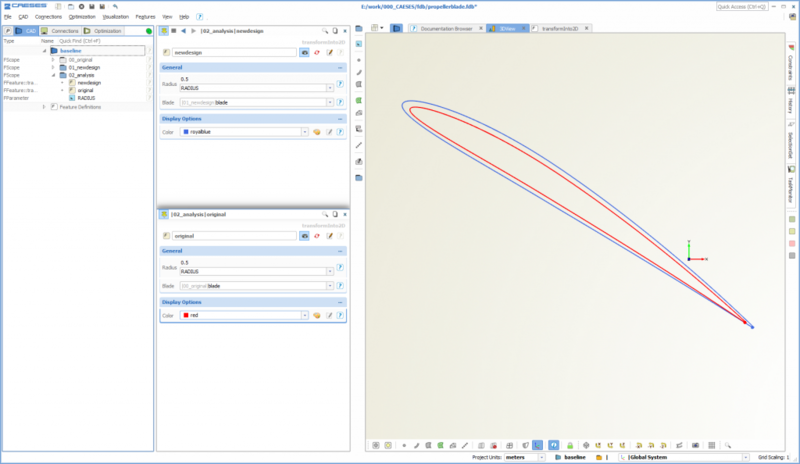 When we started on a project basis, the overall idea was to implement CAESES® as some sort of workbench that integrates and controls all the participating meshing and simulation software. At the same time, CAESES® should also deliver the 3D parametric blade design which allows the Caterpillar engineers to remodel their existing blade and profile definitions, but also gives high flexibility for trying out completely new designs. The first task was to transfer an existing profile definition from an Excel sheet to a feature definition of CAESES®. We supported Caterpillar Propulsion in this specific task, while other tasks were completely done by the Caterpillar engineers, such as setting up the blade model as well as generating an individual and dynamic 2D drawing. Since the new 2D profile definition is easy to understand and accessible by Caterpillar, they can quickly modify it and add blade parameters whenever they want to explore new designs. This gives them the possibility to check design parameters “on the fly”, and it finally results in a faster blade design process. As a side effect of having the parameter curves directly in CAESES®, the accuracy of their geometric blade models could also be increased. 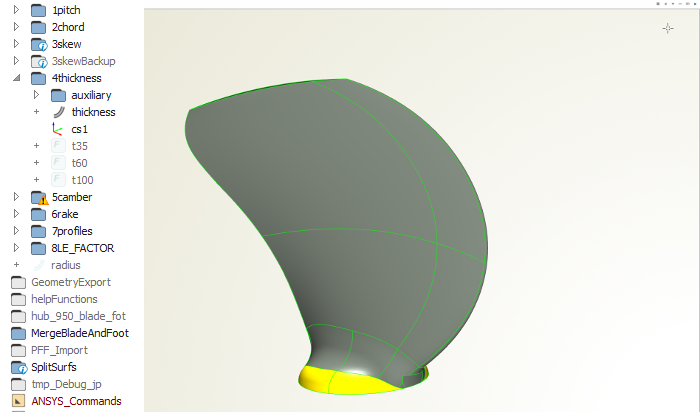 The challenging hub fillet of the 3D blade was also modeled in CAESES®, and it gets automatically regenerated as soon as the blade shape is changed. With this integral design concept for the workflow, a new 3D blade is now created in CAESES® by changing the parameter curves, and all important blade characteristics are calculated with a single click, using the coupling capabilities of CAESES®. CAESES® is the perfect tool for maritime blade design. See the marine section for related information about propeller design. Don’t hesitate to get in touch with us if you have questions about this specific application. 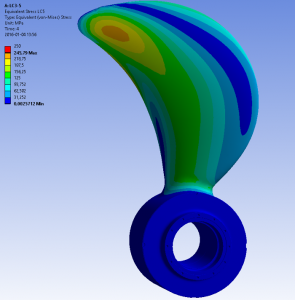 Here are some further readings: This is a related blog post which demonstrates how to analyze a propeller blade automatically. In another post we discuss the comparison of propeller sections for assessment purposes.